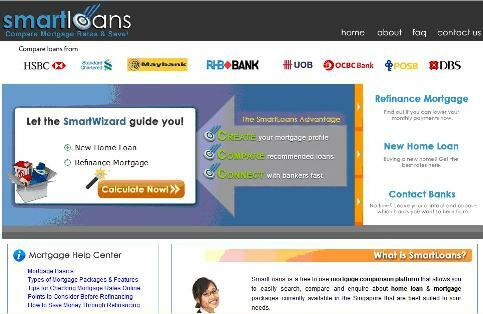 SmartLoans.sg - A new and easy way for finding and comparing home mortgage loan packages. Earlier this week, local startup The Real Group announced the launch of SmartLoans.sg, the first-of-its-kind online mortgage comparison service for the Singapore market. “I am heartened to see The Real Group developing new innovative solutions for the real estate industry. Although the economic situation has had a dampening effect on the home buying scene, The Real Group have adapted their business model and developed new revenue-generating activities. More importantly, SmartLoans provides real value to its users,” said Prof Wong Poh Kam, Director of the NUS Entrepreneurship Centre, which is incubating The Real Group. SmartLoans.sg is the third online service in The Real Group‘s stable, after HomeSpace.sg and RentSpace.sg.